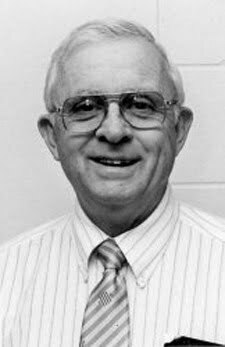 Memorial services will be held for James S. McCafferty of Whitney, Nebraska on Saturday, September 22 at 2:00 pm at the United Methodist Church in Chadron, Nebraska with Reverend Adam Davenport officiating. Jim died September 18, 2012 at Ponderosa Villa in Crawford, Nebraska three days before his 85th birthday. Jim was born in Alliance, Nebraska on September 21, 1927 to CE and Alma McCafferty. He attended Alliance Public Schools through the end of the first semester of his senior high school year. At that time he enrolled at Chadron State College to take a semester of math and science classes while waiting to be drafted. 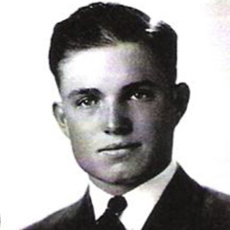 World War II was winding down and the need for draftees had diminished so he was able to continue his education at CSC for two summers, and one fall and spring semester. 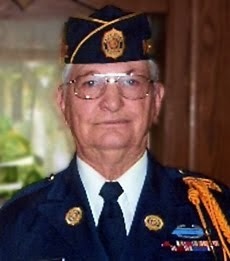 He volunteered for the U.S. Army five days before the draft was ended in 1946 and spent 31 months at Fort Richardson, Alaska in the Chemical Corps. He completed a bachelor degree in chemistry from CSC in 1951. After his discharge he married fellow science student, Naomi Howard, of Whitney, Nebraska. The couple was married on May 26, 1950 and spent the next 61 years living on the Howard Homestead where they raised four children. In October of 2011, Jim had to move to Ponderosa Villa. Jim and Naomi farmed until Jim returned to college in the fall of 1957 to earn a teaching certificate. 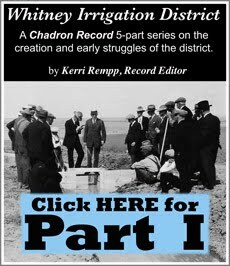 The following January he took a teaching job at Hemingford High School where he taught until May of 1960. He then returned to CSC to finish a master’s degree in secondary science and mathematics education in 1961 and joined the college’s science faculty for the fall semester. 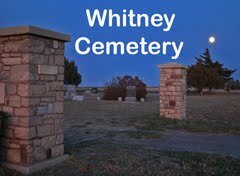 He completed work towards a doctoral degree at the University of Nebraska – Lincoln, but returned to Whitney in 1964 before completing his degree to assist Naomi with caring for three young children, her elderly father and the family farm. From 1974 through 1975 he continued his graduate studies at the University of Northern Colorado. He also completed several courses from the American Chemical Society. Jim spent thirty years teaching chemistry as well as astronomy, a forensic science laboratory, and other courses in the physical sciences. During his tenure at CSC, he organized an aerospace education workshop which included a trip to Cape Kennedy for the launch of the spaceship Columbia. For this he was cited as the regional winner of the Federal Aviation Administration’s “championship awards for excellence in aviation administration.” After retiring in 1990 he continued his services as an educator at CSC tutoring freshman and sophomore students in chemistry for which he received the “Friend of Education” award in 1997. Science and innovation were always a part of Jim’s life. He was an eager sounding board for new ideas and always interested in the latest technology and scientific advances. He spent countless hours on his computer and ham radio meeting new friends across the globe and visiting with old ones, sharing in their lives and adventures. He eagerly shared his love of science providing demonstrations and programs to school children, assisting with science fairs and encouraging his young friends to discover the world around them. At Camp Norwesca, not only did Jim offer programs in science to young campers, he was involved in the management of the camp and was instrumental to the fundraising for and expansion of the camp lodge. Through Camp Norwesca Jim shared his altruistic spirit and love of nature. Camping, fishing and backpacking were favorite activities of Jim’s which he eagerly shared with his family and friends of all ages. Jim was always a champion of the underdog and young people. In addition to teaching, from 1967 through 1974 he directed the college’s Upward Bound program which helped to prepare high school students from low income families for a college career. 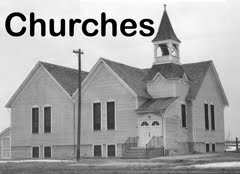 He was involved in the Methodist Church’s mission work in Whitney and Crawford, providing financial assistance and support to persons in need. Through the years, Jim and Naomi took many young people into their home. This was in addition to friends, family, students, community members and even strangers who turned to Jim for his kind heart and common sense approach to life. He spent many hours helping with financial, social and educational struggles of these individuals. Sometimes he just listened while other times he became an advocate on their behalf. Helping the disabled was dear to his heart as both his best friend in childhood and his wife had suffered from polio. In Jim we have all lost a treasured friend and neighbor. Sons: Duff (Ro) of Rapid City, SD; Marty; Todd (Carol) of Iowa City, IA. Daughter: Shelley of Whitney, NE. 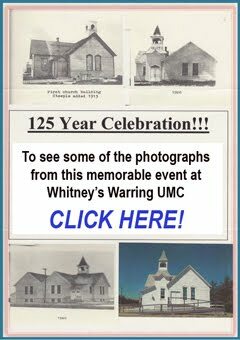 A few weeks ago (July 2012), we received an e-mail from Donald Roller Wilson, providing us with a correction to a caption in one of our Whitney School photo galleries -- and providing us with a few new photographs. Wilson and his parents lived in Whitney in the 1940’s, and his father was associated with Baldwin Ironworks. 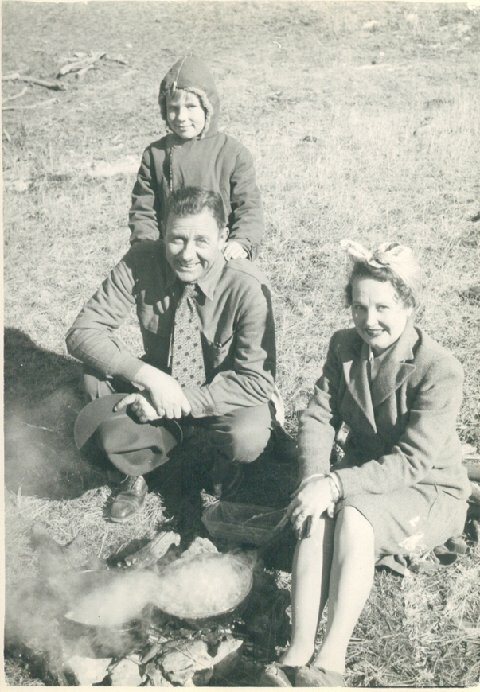 This undated photo shows young Donald Wilson with his mother and father on an outing at Whitney Lake. 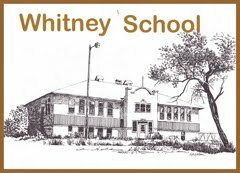 He inquired about his second grade classmates from 1946, and we exchanged several missives as I directed him to a few folks still residing in the Whitney area. Wilson’s e-mail signature also contained other contact information, including a web site. Curiosity got the better of me, and I went exploring. It seems that Donald (one of his classmates that I contacted called him “Donny” -- but he signs as "Roller") is quite an established artist and has paintings are hanging in the collections of celebrities such as Steve Martin, Meryl Streep, Elizabeth Taylor and Jack Nicholson. We’ll not recite the very long list of museums where his work is exhibited! When we did a web search, we came up with a menagerie of Wilson animals and objects, decked out in a wide variety of attire and in most unusual circumstances. Unusual for the subjects in the painting, that is. "Donald Roller Wilson's goofy, hallucinogenic, Old Master-style painting of monkeys, dogs and cats dressed up in antique costumes may be kitsch, but it's high-quality kitsch, like good beach reading. This longtime Arkansas resident's glossy surfaces, jewel-like colors and meticulous rendering of texture and detail -- from satin and velvet to fur and teeth -- give his bizarre visions a striking illusory presence. There is tender psychology in some of his animal portraits, like that of a cat formally posed in a red, puffy-shouldered dress, but the trend is more toward a wacky, down-home surrealism of flying pickles, mystic auras and coatings of crystalline water droplets. As this small survey of works from the late 1960's to the present demonstrates, the interest is not only in individual pictures. Mr. Wilson's oeuvre constitutes a vast graphic novel, a continuously unfolding Southern Gothic allegory (advanced by neatly painted texts and long titles as well). 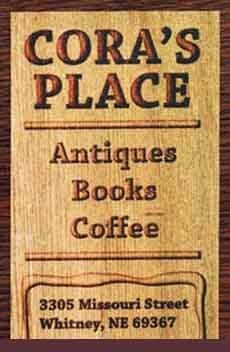 In ''Jimmy in the Woods'' a chimp wearing a white ruff collar sits at a table with a big coffee cup surrounded by stamped-out cigarette butts; in the background a castle rises from the misty forest. 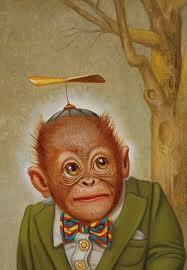 It seems our badly behaving simian hero has lost his way in the course of some mythic quest." 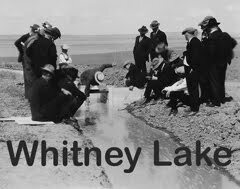 It’s always a pleasant experience when we come across information and old photos that help to tell the story of Whitney………and the people who have lived there over the years. It’s doubly delightful when someone happens across the Whitney Reflections web site – discovers a bit of their own past – and then contacts us. Thanks to Donald Roller Wilson of Fayettville, Arkansas for sharing some of his family photos with us, which we’ve posted in our Whitney Reflections Gallery. And we certainly encourage others with stories and/or photos to share them. Simply send us an e-mail at Whitney Reflections. Longtime Casper resident, Dr. Robert C. Carnahan MD, 89, passed away peacefully on Sunday, January 8, 2012 at Shepherd of the Valley Care Center, with his wife and youngest son by his side. “Dr. Bob” was born in Ardmore, SD, on August 6, 1922, to John and Mabel Carnahan. He was raised on the family ranch at Orella, NE, with his 5 brothers and one sister, living in a small railroad section house. At an early age, Bob and his siblings were all charged with caring for their livestock and each other during an economically difficult period. 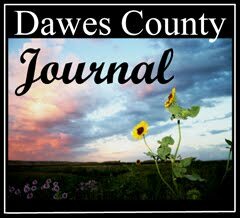 As a young adult, Bob and his brother Jack moved to Whitney, NE, tending to their own livestock and wheat fields. In 1948, Bob moved to Fort Collins, CO where he attended Colorado A&M (now CSU). He returned home during the blizzard of 1948-1949 to assist his family with their livestock during that devastating winter.In the fall of 1949, Bob enrolled at Chadron State College, Chadron, NE, where he met his wife to be, Annabelle. Bob continued his education at the University of Nebraska Medical School in Omaha. He and Ann were married on August 16, 1953. 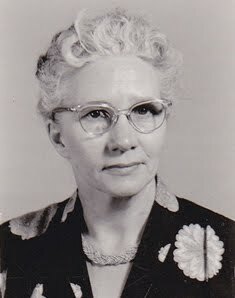 After completing medical school, the couple moved to Spartanburg, SC, Riverton, WY, and then in 1957 to Buffalo, WY, where he practiced medicine for about 9 years. In 1966, Bob began his orthopaedic residency at Scott & White Hospital in Temple, Texas. The family returned to Wyoming in 1969, where he joined an orthopedic practice in Casper with Dr. Harlan Anderson. Bob treated thousands of patients over the next 18 years, retiring in 1987 . Dr. Bob was always proud when a former patient would stop him on the street, or on the golf course, and thank him for his medical care. 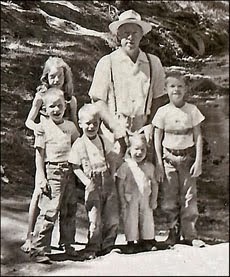 In the early 1970’s Bob also purchased a cattle ranch in western Nebraska, near his family’s homestead. Bob and Ann also enjoyed traveling to their winter residence in Arizona until Bob’s health dictated that they remain close to home. He was a member of the Lion’s Club of Casper for several years. Bob was a member of the American Academy of Orthopaedic Surgeons, a past member of the Wyoming Medical Society, and was past Chief of Surgery of Natrona County Memorial Hospital (WMC). Bob is survived by his wife Ann, his sons and their wives Bob (Karen) Carnahan of Fort Collins, CO; Randy (Cindy) Carnahan of Casper; grandchildren Matt, Mitch and Kelsey of Colorado, and Ashley of Casper; brothers Jack of Chadron, NE, and Jim of Sheridan, WY, sister Dorothy Landers of Hilton Head Island, SC, and dozens of nieces, nephews and other extended family. He was preceded in death by his parents, and brothers Ansel, Kenneth and Richard. At Dr. Bob’s request, no services are planned. Cremation has taken place under the direction of Newcomer funeral home. A private family graveside service will be held at a later date. In lieu of flowers, the family would prefer contributions to the Lions Club of Casper Alan H Stewart Blind Camp, or The Blue Envelope Health Fund in Dr. Bob’s memory.